At first I wasn’t entirely sure how I felt about the OUYA, but it’s starting to look like a pretty legit system. What’s OUYA? So glad you asked. It’s a console in the making that breaks away from “The Big 3”, using an android based, digital download format, that will be playable on your TV. I’m still a little conflicted though. I suppose it really depends on where the video game market goes and how well they execute their format. Will this be a commercial success? I really don’t know. But I wouldn’t necessarily want it to be either. A “commercial success” can often feel soulless and cheapened. It also kind of feels like they’re trying to sell us something that we already have. It runs on android. If I really wanted to I could hook up my android tablet to my TV and a controller to that. Granted not all games could work this way, but this is one of their main boasts. Well I can already do this. I’m also not the biggest fan of digital download. I prefer to own a physical item. If they’re going to be selling console class gaming, I’m sure they’ll be more expensive than your typical app store game. And then you’re locked in. No returning it, no selling it when you’re done, no lending it out to a friend. On the other hand, Brian Fargo is absolutely right. Console gaming is where REAL games are (I totally agree. I’ll be the first person to tell you iPhone games are trash), however, you need to be a big name to make any sort of money. Actually forget that. You need to be a big name to even be considered for making a game for a console. Unless your game is going to make $4mil in it’s opening week, EA and Activision don’t want to know you. And this is why I most certainly will be getting an OUYA. Indie developers of all kinds will have easy access to releasing their games on the OUYA format. And since it’s a console you play on your TV with a controller, not a clumsy, on-screen, touch-sensitive pad, it will feel more like a real gaming experience. Most recently OnLive and more importantly, Square Enix have jumped on board. That was the moment I was sold (trying so hard not to be a Square Enix fanboy). I had already put my backing into the project, but it was when I got this news that I no longer felt like it might have been an iffy decision. They’ll have available at launch, a remake of Final Fantasy III. Not the American III, which is really VI. But the one that was only released on the Japanese Famicom and had the DS remake back in 2009. Don’t expect a straight port either. Apparently it will be a full HD console remake from the ground up. You don’t have much more time to get in on the ground floor. They have about a week left for backers to get on board. It’s only $99 for the console and a controller when it releases. They’re already well over their goal, so this is happening. 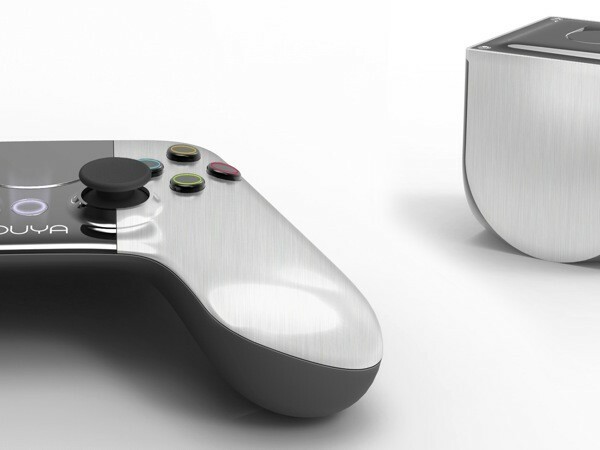 The OUYA could very well change the face of the console gaming market. We’ll see what happens. Posted on August 1, 2012, in Indie Games and tagged android, console, final fantasy, kickstarter, onlive, ouya, square enix, video games. Bookmark the permalink. 4 Comments. I thought you raise some good points about the Ouya’s potential for commercial success. I too am anxious to see how indie and mainstream developers adapt to the Ouya. I heard they will offer more free-to-play games, which I’m not convinced is necessarily a good thing–one can get nickled and dimed that way. But I thought you had a nice post! I have nothing against the so-called free to play games. They can nickel and dime all the way. I haven’t played one yet that I enjoyed. They don’t offer me enough for a long haul. Usually get bored within a week. I know league of legends is huge, but I just couldn’t get into it.